A new innovation competition open to all inventors and entrepreneurs who have an idea for a brand new product has been launched. Coller IP, specialists in helping organisations protect, understand, value and commercialise their intangible assets, is working in conjunction with D2M Innovation, Brand Refinery, and The Turtle MatCompany to set the ball rolling. Free to enter, the competition winner will receive the support of the competition partners to develop, protect, market and sell their product. Project Hatchling is an innovation competition open to all inventors and entrepreneurs over 18 and resident in the UK who think that they might have a good idea for a consumer product that could extend the Turtle Mat product family of home furnishings. “Project Hatchling is all about giving entrepreneurs and inventors the chance to see their product become a commercial reality. We are all keen to encourage and stimulate UK entrepreneurship and the winning candidate will receive the support of the professional partners to develop, market and sell their product, including IP advice and a direct consumer channel to bring the product to market. Our partners have strategic links with major high-street retailers and can provide marketing help to ensure rapid promotion and success for the winning new concept. "We are expecting two types of people to enter. Firstly, people who have developed and protected concepts that are likely to appeal to Turtle's Mats customer base and would benefit from our support to get their product manufactured and in front of the nation's top retailers. And secondly, innovative thinkers who are inspired to think up new ideas to meet the brief appealing to the specified consumer." You are free to make your submission and do not knowingly infringe the copyright or other intellectual property rights of any third party. You agree that the Project Hatchling team may contact me for additional information and/or samples/prototypes if applicable, or to discuss ways in which their services may support the development of your product in the future. In the event that you win the Competition, you acknowledge that Turtle Mat reserves the right to rebrand, change the marketing route, and/or adapt the product to make it more marketable or commercially viable. 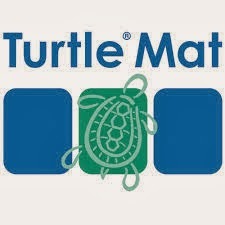 In the event that you win the Competition, you acknowledge that Turtle Mat reserves the right to market the product where it deems most appropriate. Duly noted. This blog will watch with interest to see what happens, and hopes to find out how the funding of the product launch will be handled.